Card Review: 9.3 Topps finally had a second chance to include Wallach in a Traded set and this time they didn't drop the ball. In 1981 they inexplicably left Wallach out of their traded set. 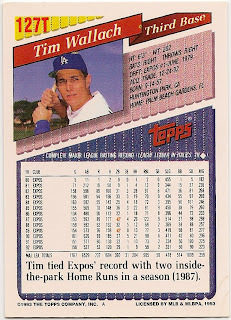 Bad enough Topps blew the chance to put Tim Raines and Tim Wallach on the same 1981 base card, then they had to go and leave him out of the traded set as well. An omission that still burns me. 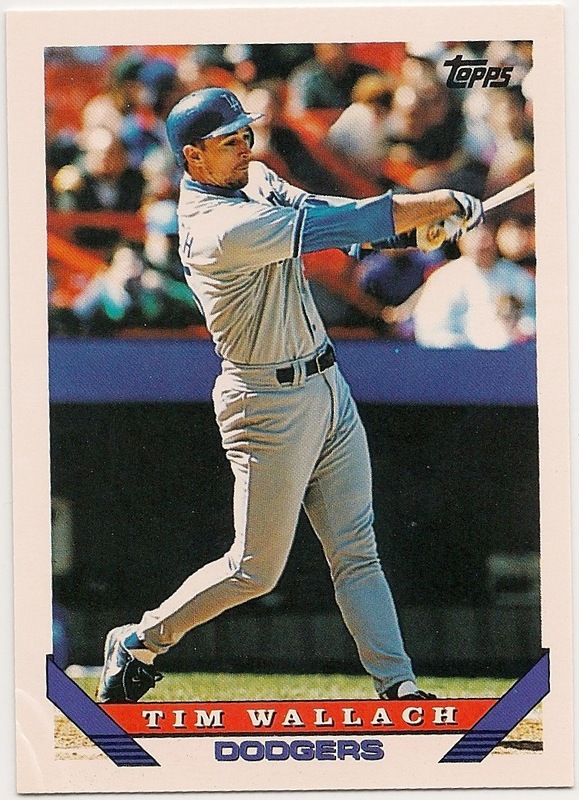 Wallach also should have been in the 1996 Traded set, as he went from the Angels to the Dodgers mid-season. 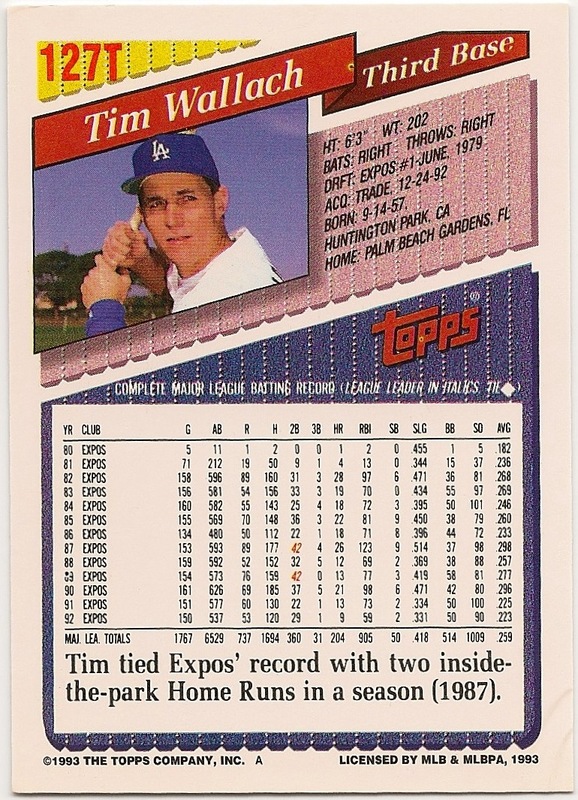 But Topps didn't issue a Traded set in 1996. Worse yet, they didn't even include Wallach in the 1996 base set. It was weird time for Topps, and they were making a lot of bad choices, so I've come to forgive them for that omission, but I haven't forgotten. I'm a little embarrassed to say how long it took me to track down this card. So I won't give an exact year, other than to say, Wallach was retired already. It was the last of the (somewhat) standard issue Wallach cards for me to obtain. All in all, not a bad card.